What if World War II didn’t end in 1945!? This is a sci-fi apocalyptic World War II Sci-Fi. It questions what would happen if Russia, USA and United Kingdom didn’t had the army to defeat the Nazi army from Great Nazi Reich. The question is pretty “scary” interesting, when you think about that scenario. Yes, The Man in the High Castle is in an alternate universe, where World War II didn’t end in 1945. Here in this Sci-Fi, the Nazi regime managed to keep Hitler alive until he passed away in 1962. In this series, you witness how Berlin that is built up quite modern. The continents is reached by several concore airplanes that you can hear breaking the sound barrier when the scenes are near the airports. You also get to know an alternate New York. East-coast of USA have also changed quite drasticly after the Nazi have nuked Washington D.C with a mini atombomb. 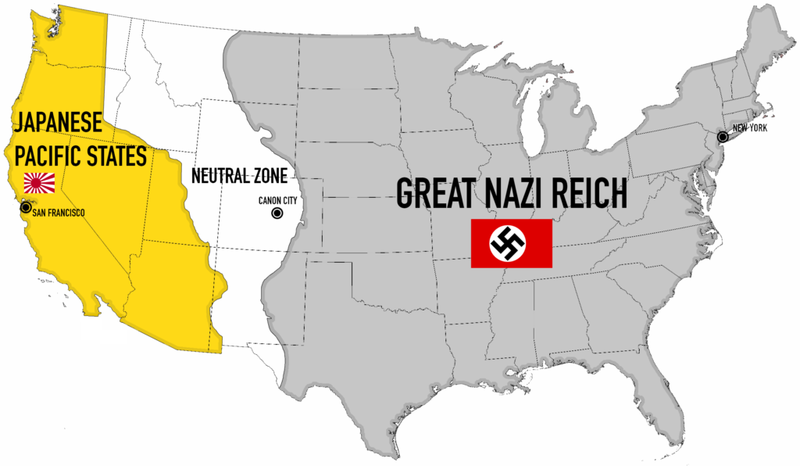 They have simply taken control over east-part of USA, with a neautral zone in the middle that splits Japan and Great Nazi Reich. photosource: YouTube – An alternative universe wher Greater Nazi Reich have nuclear bombed Washington D.C and pushes towards east where the Japanese are. A world where Hiroshima/Nagasaki nuclear bombs never happened, but something mysterious is still not answered!… Season 3 please!!! In this alternative world USA, never bombed Japan at all. Instead, Japan managed to win East-Asia and western part of USA. The way everything is made in this series regarding this visually is just breathtaking. I even remember asking my parents about it after learning about World War II at school. Would you be together if Germany won in the past? And they answered directly to me no, since I am slavic and my dad is german person, that the Nazi regime wanted to purify. There are many TV series and movies that have based their story of a world where World War II was never lost by the Nazi. 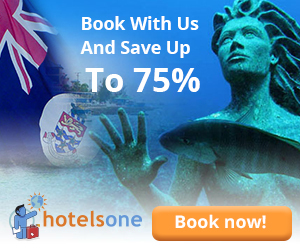 One of the earliest was It Happened Here from 1965. Here it’s about Nazis that managed to invade Great Britain. Then you also have Fatherland from 1994 which is a bit similar to this one. 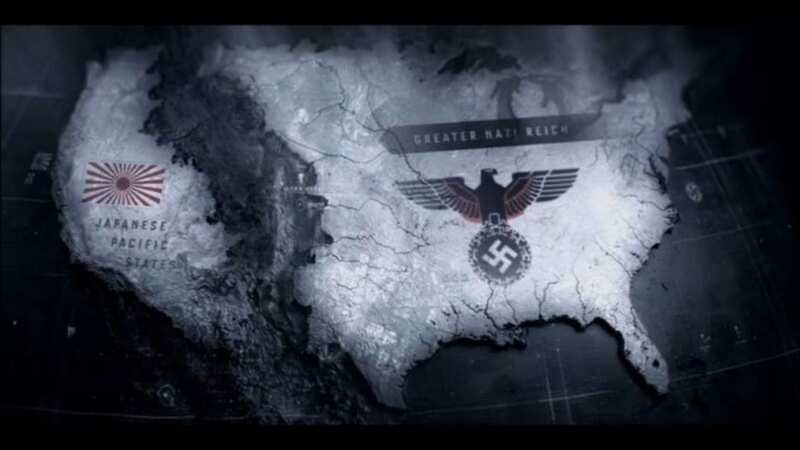 But The Man in the High Castle is for sure one of the most stunningly made tv series. From the opening, to the nature of the place where the actors is and the music is really something. As described, you have normal life going on even if it’s war and the horrible Nazi regime ideology just continues and people do whatever they can to prevent it to spread even more. The more “milder” Japanese teritory but yet also very violent as they’ve never felt the Hiroshima and Nagasaki atomicbombs. It’s really interesting to see how they struggle with the peace, while the Nazi just want to get more and more land. It will be really interesting to see what will happen in Season 3 for sure. The concorde airplanes are stunningly made, Berlin is built out of from 1960s vision that the Nazi regime. It’s built up with monorails trains running over the streets. They really have managed to invite every viewer to it and thats quite impressive. The Story is solid as a rock! The Man in the High Castle is really stunning! I can’t say that enough in this review! But, when the story is as good. You know that the people behind The Man in the High Castle have actually made a extravaganza serial for sure. From the moment you see the intro, the story and until the end of each episode. You will love it. You can manage to watch one episode at a time, but in the end you endup watching it all because it’s so interesting. Creator Frank Spotnitz have really made a masterpiece! There is simply no serial out there, that pulls you so much into a fiction world like he have manages. You really feel as if you are in 1960s world with it’s conflicts. Thats quite stunning and impressive! You might now think that I am done with the positive parts? Well! I want to, but I can’t! Because here is my review of the actors in The Man in The High Castle at all. This serial delivers so extravagant in this area too. Allmost everyone delivers. I was going to put this topic on top, but the visuals and the story in this serial is so intense that following up with this good review about the actores felt naturaly to begin that part here. One of the best actors in this serial is infact all of the main characters. Especially Alexa Davalos, which plays as Juliana Crain in the series. She have those eyes and emotions that gets you attatched! You sort of feel that you are on her side all the time. Rupert Evans as Frank Frink is also good, while the Nazi Joe Blake which is played by Luke Kleintank is doing his job perfectly. On the Japanese side, Joel de la Fuente is playing amazingly as Inspector Kido. He is just as evil and speculative as it can be. Cary-Hiroyuki Tagawa plays as the mysterious Nobusuke Tagomi trade minister, which I really enjoyed to see everytime he had a scene. Rufus Sewell as Obergruppenführer John Smith is also playing very well as a Nazi soldier and all in his family that is living under the Nazi regime in New York is very good. It always feels like you as the viewer, is actually where they are and thats something few actors have actually made possible. Frank Spotnitz and these actors have just given an amazing job. If there is any minor comment regarding the actors, then it must have something to do with Dj Quals as Ed McCarthy. He isn’t bad, but there is something about his acting in some scenes that are a bit odd. But they don’t ruin very much. Not at all! Maybe I didn’t liked his fashion or the way he handled all of the scenes. I don’t want to ruin anything. This serial is just Epic! There is simply no other word for it. It got everything that a Sci-Fi lover would love and yet more will come. The series also reaches other groups of people because it’s so solid and the Sci-Fi parts is really mysterious still. From the moment it starts until the end it is a thriller, drama, action, sci-fi and a hint of humour in-between. Masterpiece!